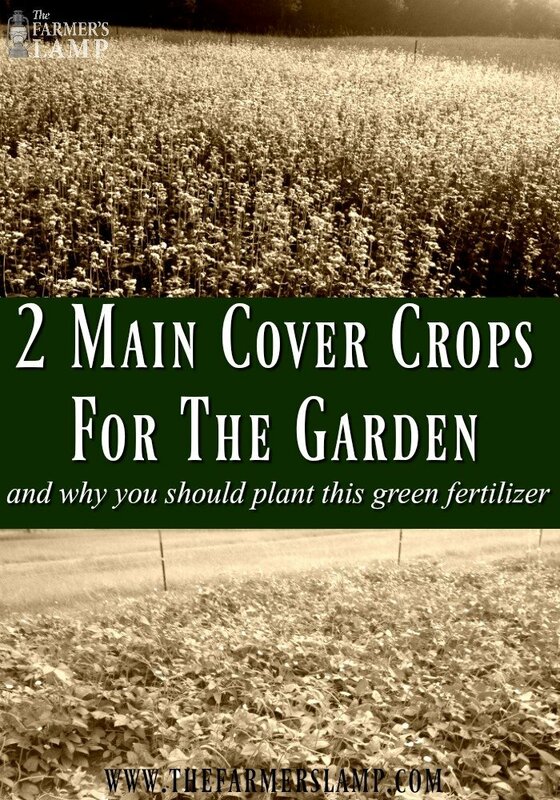 There are two main groups of cover crops for gardens, legumes, and non-legumes. Both create green manure. We create green manure for fertilizing the soil by allowing the cover crop to live, die, and decompose where it is sown. You can simply leave them on top of the soil to serve as mulch and slowly fertilize the soil. If you prefer to use them as a more efficient soil amendment, you can plow or turn them under when they are still green and before they go to seed. We prefer to do this rather than leaving them on top of the soil. When you say legume the first thought is usually peas and beans. They are legumes but they are a small part of this large group of plants. Legumes are excellent nitrogen fixers for the soil making them beneficial cover crops for the garden. Legumes can accomplish so many things in your soil. They are used to prevent erosion, prevent weeds, and add organic matter. This group includes winter annuals such as hairy vetch, Austrian winter peas, crimson clover, and more. There are annual clovers of all kinds, like white and red. There are also a couple of biennials like sweet clover and a large group of summer annuals. Annual winter legumes, like the name implies, are planted in early fall for maturing over winter for providing N and biomass production in time for spring planting. Both perennial and biennial legumes grow quickly making them perfect forage crops between main crops. As forage crops, they can be turned under for the soil or harvested to feed livestock and poultry. The use of summer annual legumes as cover crops for the garden depends totally on your climate. In cooler climates, these summer crops aren’t an option. With non-legumes, the first crop thought of is ryegrass but like legumes, the class of non-legume cover crops for gardens is expansive. 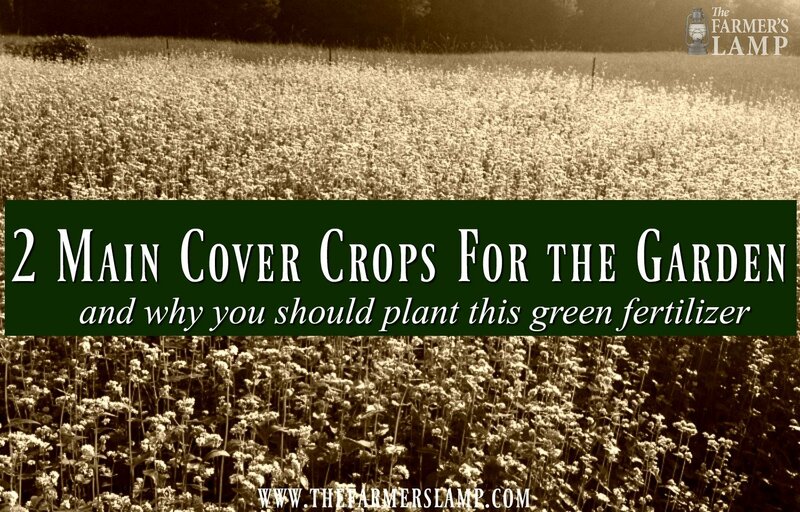 As with all of the gardening, your climate determines which of the annual or perennial cover crops you can use. Unlike legumes which fix nitrogen, non-legume cover crops use nitrogen. They’re just as efficient at preventing erosion, suppressing weeds, and adding organic matter to the soil. Like many people, we plant a mix of legumes and non-legumes. Cereal grains used as cover crops have the widest range of climate in which they will thrive. The winter annual cereal grains, like wheat, are usually planted early fall to allow them time to establish themselves before they go dormant in the winter. With the spring green-up, they flourish and increase their biomass contribution as they mature their grains. Buckwheat is our favorite choice for a perennial cover crop for the garden. It’s not a grass, but many people use it to accomplish some of the same tasks as they would a summer-annual grass. It makes a good forager for livestock, poultry flocks, and the insect world. It’s a favorite of bees. It also accomplishes all the benefits of other cover crops. One of the best ways we’ve used buckwheat is in preparing new areas for gardening. We plant them early, let them go to seed and rot where they lay. Next spring the new crop comes up and you before it seeds, we turn it under for green manure. The soil is rich and ready without weeds as the cover crop has choked them out, at least buckwheat accomplishes this for us. Because non-legume cover crops for gardens are higher in carbon than legume crops, they take longer to break down. My simple understanding of this process is there are fewer nutrients readily available to the next crop because the carbon to nitrogen ratio is high and takes longer to break down. So why do people plant them? Because when the process is complete, the organic matter left is much greater than that of the legumes. This means a richer, more fertile soil in the end. They also keep nitrogen from leaching out of the soil through erosion or weeds feeding off it. One way to deal with this, if you want to use the spot right after a cover crop, is to plant a crop which is not a high nitrogen feeder. It will have what it needs there. Mixing non-legume and legume cover crops for gardens is the most efficient way to balance the delicate world of your soil. I prefer letting the area rest allowing the billions of little microbes and other critters living under the soil to do their job before I plant in an area where non-legume cover crops have been used. Do you use legumes, non-legumes, or a combination of the two as cover crops for the garden?